Joan Elizabeth specializes in holistic lifestyles, healing, and psychic development. Chakras are energy vortices, or wheels, that correspond to the physical body, the endocrine system, and the major nerve ganglia. They are an intricate part of the Human Energy Field (HEF). Chakras influence all aspects of life. Animals, plants, and the earth also contain chakras. 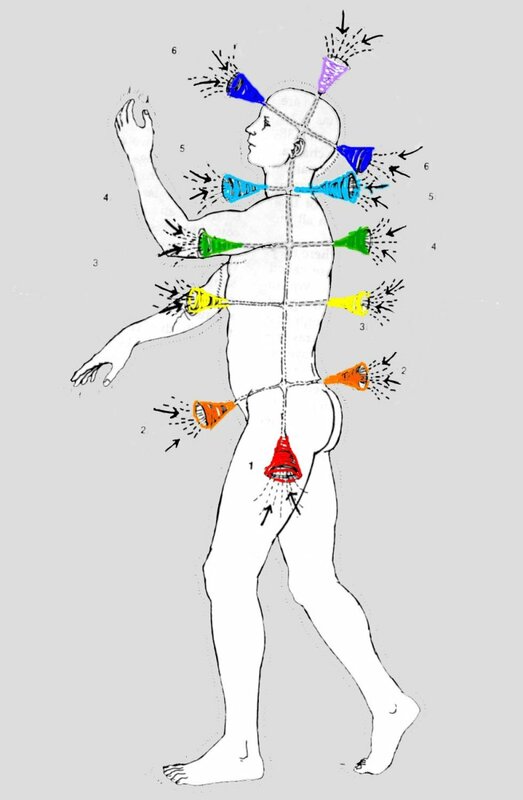 There are seven major chakras that create the rainbow bridge that runs up and down the human spinal column through the subtle body. It is called the rainbow bridge because the colors of those seven major chakras are those of the full spectrum of light. Furthermore, the bridge spans between the human body's physical connection to the earth and the Universal Energy Field. Color: red. Located between the legs at the perineum. 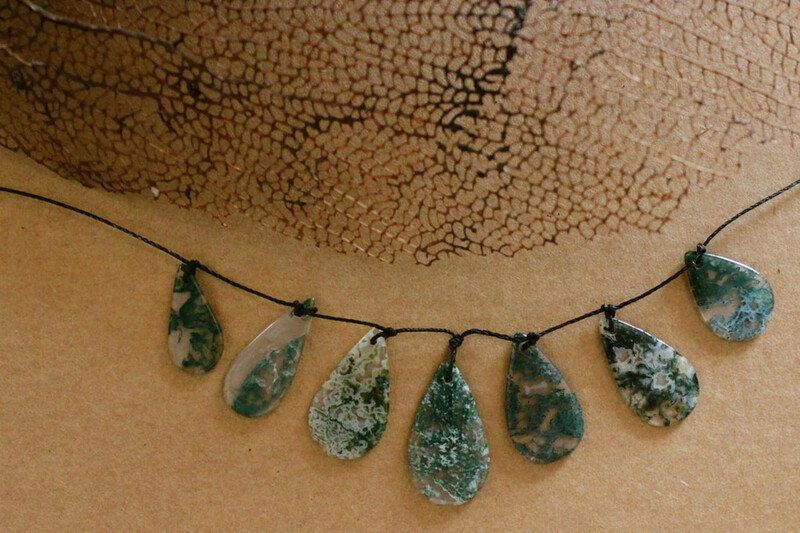 Responsible for physical survival, energy distribution, family/tribal issues, practical aspects of living. Corresponds to the Adrenals. Color: orange. Located two inches below the belly button. Responsible for sexuality, gender issues, creativity, emotions. Corresponds to the Adrenals. Color: yellow. Located two inches above the belly button. Responsible for personal power, self-esteem, self-confidence, seat of the individual will. Corresponds to the Pancreas. Color: green. Located at the sternum. Responsible for personal development, relationships, sharing, direction, love. Corresponds to the Thymus Gland. Color: blue. Located at the base of neck, the throat. Responsible for personal expression, communication and flow of information. Corresponds to the Thyroid and Parathyroid Glands. Color: indigo. Located at space between the eyebrows. Responsible for mental organization, perception, knowledge and intuition. Corresponds to the Pineal and Pituitary Glands. Color: red-violet. Located at the crown of the skull. 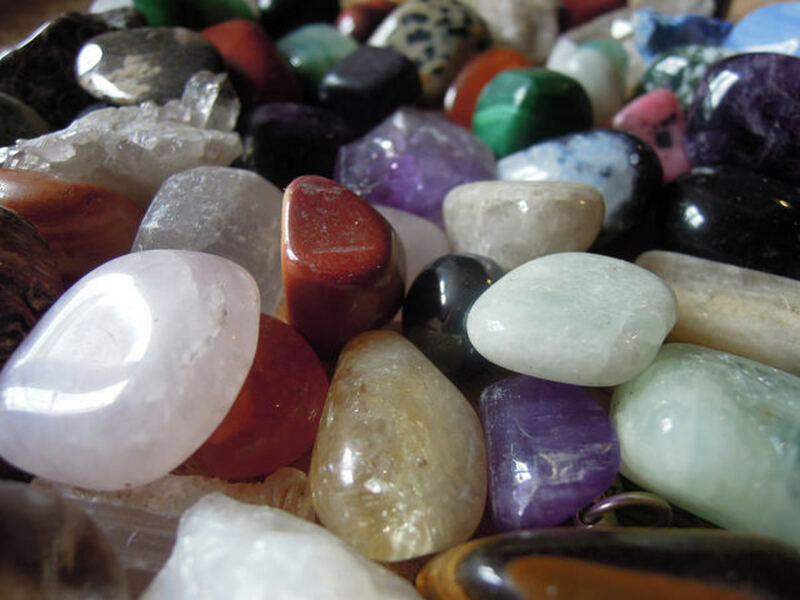 Responsible for spiritual perceptions, intuition and inspiration. Corresponds to Pineal Gland. Chakras store, balance and distribute energy. There are physical sources of energy like food, water, sunlight and human respiratory exchanges. There are spiritual sources of energy like the "breath" or inspiration of the Divine/Source, and the mixture of Divine/Source and human breath often called chi or prana. Chi and prana are also called human life force. It is responsible for the body's life, heat and maintenance. 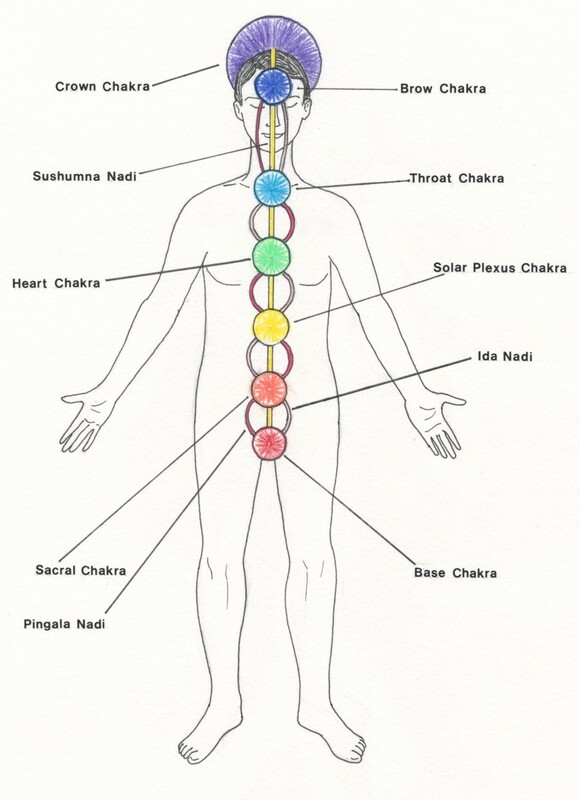 Each of the seven major energy centers, or chakras, has a responsibility. They develop our connection to ourself, to the world, to the universe as well as to the Source of all that is. Traditional medicine has long since known that there is a placebo effect and that the power of positive thinking can affect health states. It stops there. Why? "Follow the money." It is not lucrative to study aspects of human life that would promote simplified healing practices or total well-being. Modern Western Medicine no longer even requires the Hippocratic Oath for its physicians. The reason for this is that traditional medicine is fundamentally linked to illness/disease/disorder and the perpetuation of surgical procedures and pharmaceuticals. It treats symptoms. Rarely does it ever treat the root cause of any physical or mental issue. The medical industry is nothing more than a business with very expensive products and services. Holistic healthcare is altogether different. People can be educated relatively cheaply depending on their modality of choice. Furthermore, all aspects of human life are treated—including spirituality. Right now the cost factor for seeing a healing practitioner is still high more often than not; but that is because there is no conglomeration of practitioners or insurance. I know many healing practitioners, however, that barter for their services, offer sliding scales or work pro bono. But, this section of this Hub is not about money or affordability. This section is about the seven categories of consciousness that affect the physical bodymind. My point in discussing traditional medicine is that it ceased wanting to discover what the bodymind is truly capable of because it was no longer lucrative to do so. The bodymind is capable of so very much more than traditional medicine or science has declared. Infinitely more! 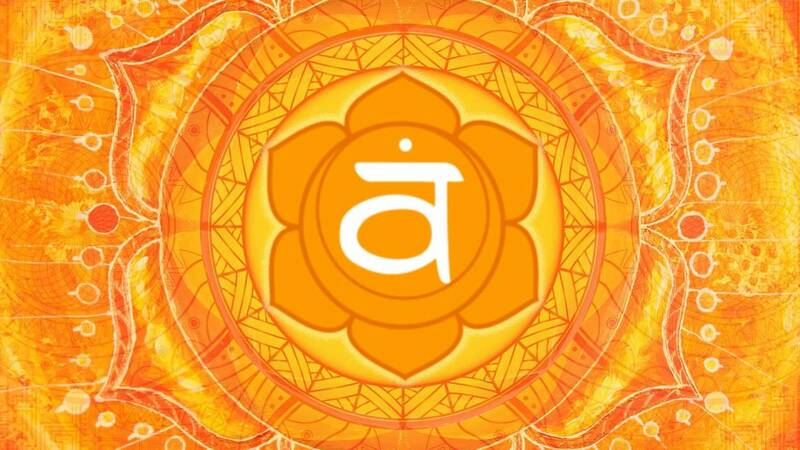 The first section of this article defines each chakra and its corresponding responsibility. The categories and the responsibilities are synonymous. By shifting awareness to each level of individual consciousness, people can begin to create well-being and healing in their lives. This can even be viewed from a collective perspective as well. 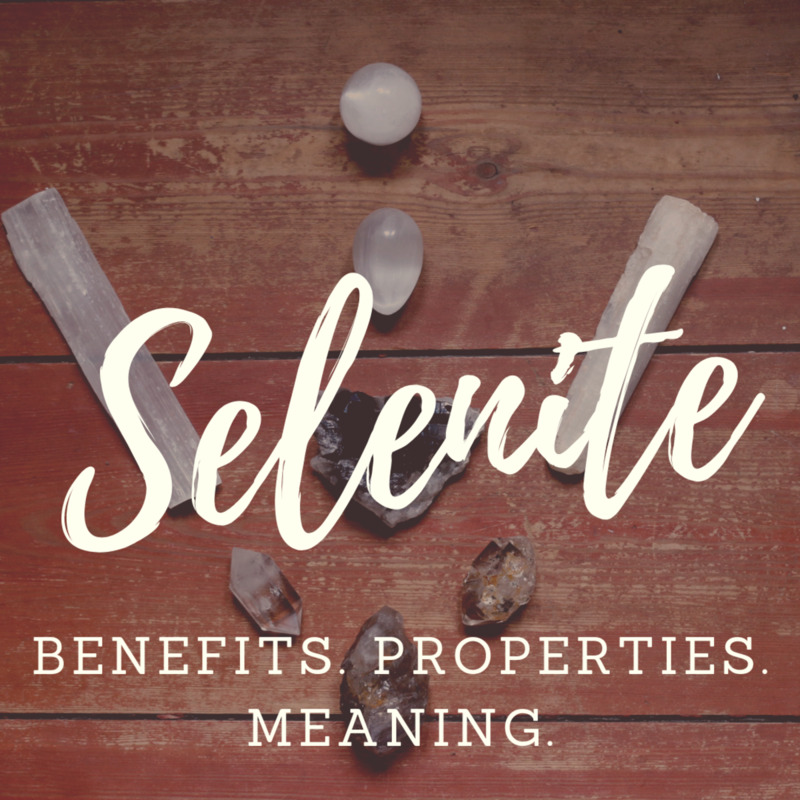 For example, if a community is constantly dealing with money problems, that can be associated with the collective root chakra within the community. It sounds impossible, but take a serious look at chakras, how they affect human beings and the manifestation of any collective consciousness or the manifestation of THE collective consciousness and unconsciousness. When one familiarizes his/herself with consciousness and chakras, one can begin to map the root cause of illness/disease/disorder. But in addition to that, one can heal and become whole. Yes! Heal AND become whole. I am not yet made whole, but I have healed considerably. People like Dr. Wayne Dyer have certainly benefitted in healing from Leukemia. So the associations with chakras are basic. Again, they are listed at the beginning of this Hub. But it is the application of those associations to our awareness that makes the energetic healing process commence. Our consciousness does not originate in the human brain. It originates at the core of our energetic being. The brain is merely a receiver and transmitter of consciousness. This is why transcendental meditation works to relax the brain which quiets the mind. Once the mind stops being actively involved, consciousness floats to the forefront of the quiet mind. This is also why most psychics give off psychic overlay (personal bias). The active mind is usually engaged when most psychics are processing psychic information (such as but not limited to clairvoyance, clairaudience, clairsentience, and claircognizance). Edgar Cayce, the most profound psychic of the 20th century was called the Sleeping Prophet because he brought psychic information to light during a trance state. His active mind went quiet so that consciousness could be revealed. 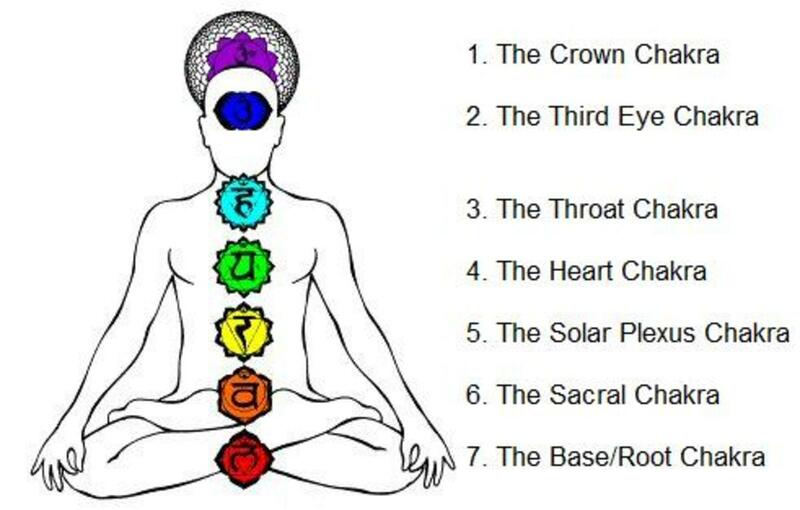 If illness manifests in the throat, the illness can be mapped to the throat chakra. If linguistic issues are involved, the condition can probably be mapped to the top three chakras. Often it takes a seasoned healing practitioner to treat illnesses/diseases/disorders effectively because the issues are so complex. I have been treated by a craniosacral therapist for years and issues can "jump around a lot." Compensation occurs. 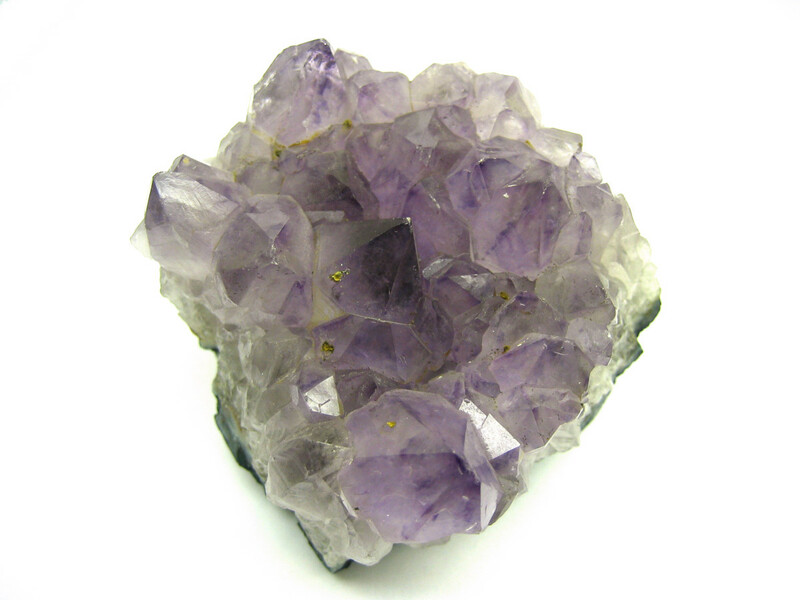 Energy healers use various different aspects of themselves to treat situations. I respond to the vibrational shifts in my hands. I, also, rely on feedback from the client. Some healers feel things, hear things or see things. Truly, the list could, in theory, be infinitely long. From a holistic perspective, all illness/disease/disorder originates at the energetic level. This can include issues incorporated from the soul body and the genetic line. Everything has a spiritual component to it. None of us, not even Atheists, are immune to this. Just because we fail to acknowledge this on a conscious level, does not mean it does not exist. Spiritual scientists/energy workers have been aware of people's energetic systems for a very long time. I predict that these systems will be common knowledge and evidence-based in 5-10 years. Reincarnation is a logical conclusion as well as a very personal experience for me. Energy can never be destroyed. It can merely be transformed. Time and space are merely man-made constructs to deal with the vastness of eternity. Multidimensional experiences have become commonplace in my life. Healing is not necessary at the soul level. The soul is eternal and forever a part of 100% Divine Love and Its perfect energetic frequency. Love is the frequency that holistic practitioners use to heal people and animals and plants as well as the earth. Healing has to occur in the physical bodymind. Souls chose to separate from Love to know themselves as individuals. They then had to have a way to make that happen. They co-created the human bodymind to do this (some belief systems say animal bodyminds as well) This caused polarity and duality. It also caused a perpetually-oriented Illusion to occur which is known to Buddhists as Maya. The Illusion is a projection of a person's inner world. That sounds like a wild idea. What about the guy standing over in India that I have never met? Yes, him too. Well, here is the thing, collective consciousness is sort of like the "looking glass" to our own soul's evolution. Our soul is constantly moving through the individuation process. It is, also, simultaneously, moving through infinity with perfect love as that perfect love. But the truth of the matter is that all souls started at the same point of origin: Divine Love. The human body is the chosen vessel to experience soul growth, development and education. It is stated that there are many other experiences than earth and our nine planets or even our universe. For one, there are a plethora of dimensions in existence. Psychics peruse the other dimensions a lot. So do many healers and Light Workers. The earth plane collective Illusion is third dimension fast moving into fourth dimension. 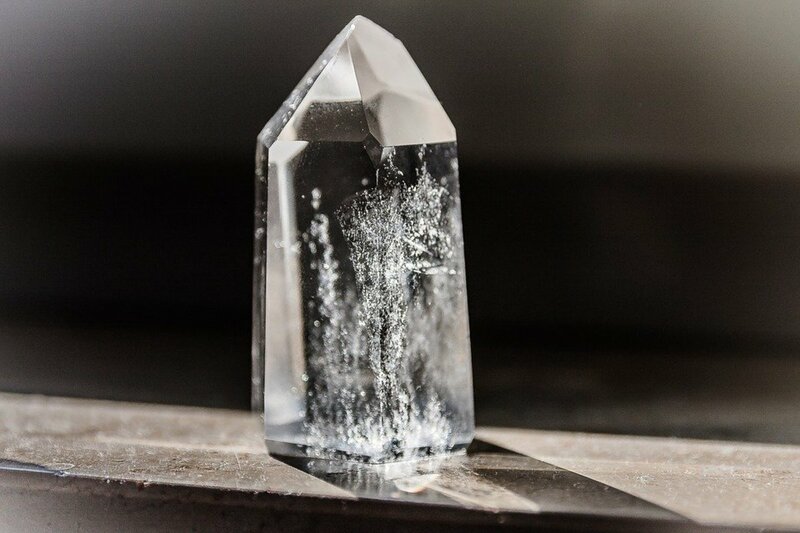 Heightened spiritual experiences of all types usually tap the fifth and sixth dimensions. So illness/disease/disorder occurs as a part of the collective Illusion as well as a part of the individual Illusion. Now, mind you, just because it is called an Illusion, doesn't mean it doesn't hurt. It is condensed vibration. It is so dense it gives the impression of being solid. But energy workers and healers understand that it can easily be manipulated into some other experience...including a healed bodymind. Reincarnation also incorporates soul groups/families as well as various types of soul "mates." There are so many complex situations occurring within the collective and individual Illusions. But at the heart of everything, we are all one perfect being. Reincarnation also allows humanity to deal with indiscretions and the cumulation of positive actions done at the collective and individual level. This is not retributive. This is empathy and compassion as soul education. Moreover, it keeps the universe in order and out of total chaos. Have you ever wondered how "God" makes everything right in the end? Reincarnation. Everything a person does to another will at some point in the evolution of the soul as a human being be experienced by the transgressor or the benefactor. Everything. Though, it may or may not have a different "costume." 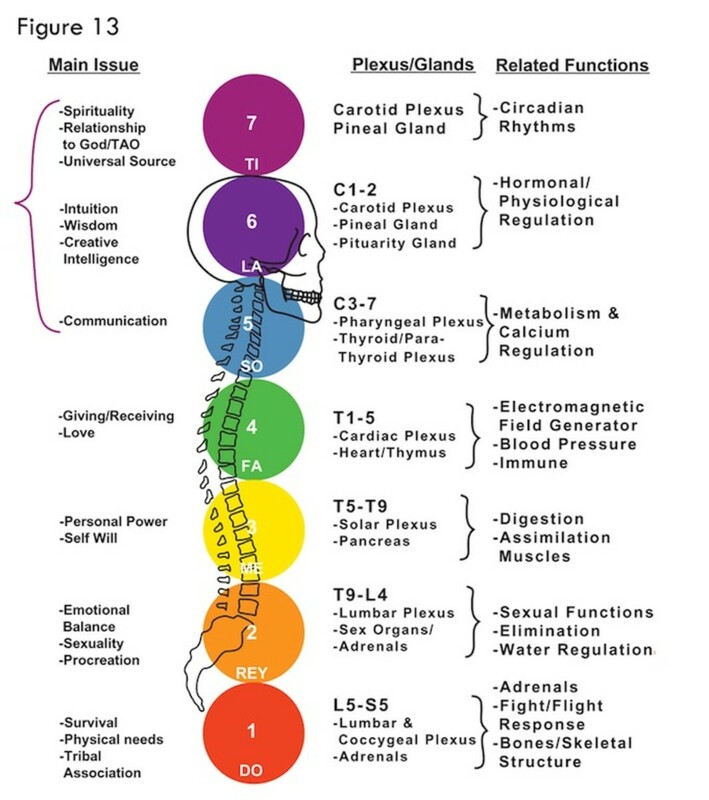 So illness/disease/disorder can have multiple entry points: the karma of the soul, the soul's co-creativity contracts with the Divine, the genetic line, the collective line, the individual chakra, meridian, and nadis points, etc. This includes physical illnesses like injury, viruses, abuse, etc. However, they all get processed at the energetic level. Then they manifest in the bodymind. Soul work that is not completed in one incarnation may be completed in another incarnation. Incarnations are multidimensional in nature; they are far from linear. It is feasible that a soul goes somewhere other than the earth plane between visits. Usually, at the very least, a soul leaves the third dimensional Illusion and takes a visit to the Bardo (a place for soul processing). Dr. Wayne Dyer passed away as a result of his leukemia.